Hand made stool. 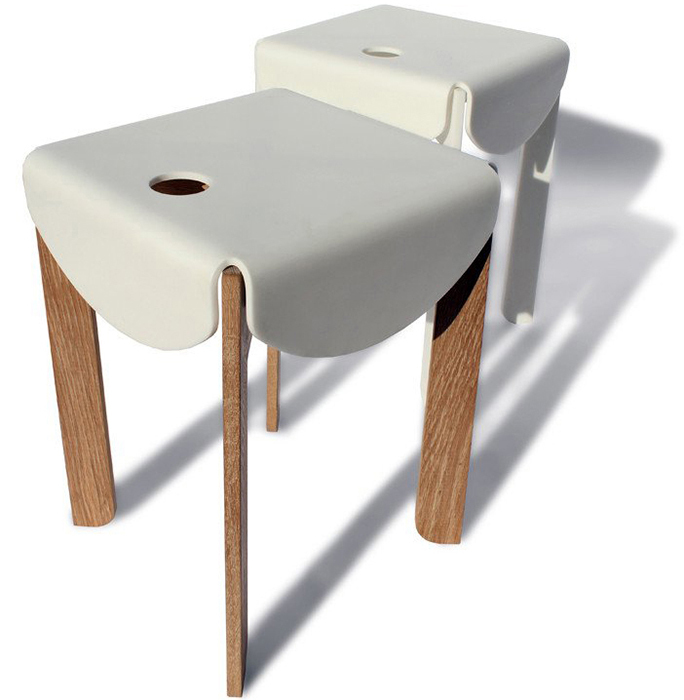 The droopy stool, like the droopy coffee table, is made in a similar manner. It can also double up as a side table. The construction of the base is as traditional as is gets, using solid white oak. The top, like the droopy coffee table, is a man made material called "solid surface." It's a hard wearing material that will take the wear and tear of everyday life, while maintaining the like new look. 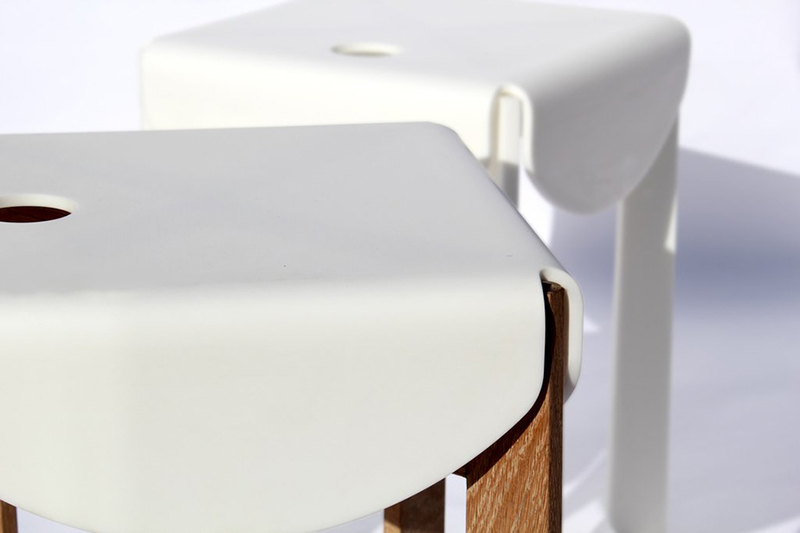 The stool, like the table, is based on an overhanging cloth. Dimensions: 330mm x 330mm x 450mm high.